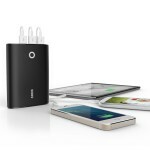 The power banks are getting smarter day by day so many other daily gadgets and wearables. We have brought you the Best Charging Backpack list which is no doubt replacing the old bulky carry on power banks. We are really not sure how people would react to this but as long as our opinion goes these Backpacks with power banks will make the difference for sure. 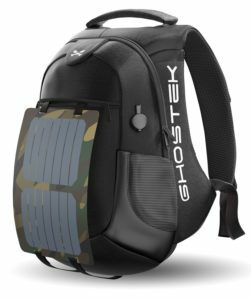 What are Charging Backpacks or Backpack with Charger built in? These are backpacks same as you are using daily but are quite smart in the sense that they are providing you great ways to charge your gadgets and devices like iPhones, iPads, androids, wearable smart watches and even laptops too. 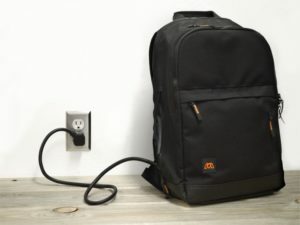 Simply put your gadget in backpack and there you will find a cable to charge it in the backpack or you can find another cable outside backpack thus you can charge your device by keeping it in your pocket too. Yes there are many but mainly you don’t need to carry heavy power banks in your pockets or hands anymore. You will get evenly distributed weights of power banks on you back thus you can now carry bigger and higher capacity power banks with ease. 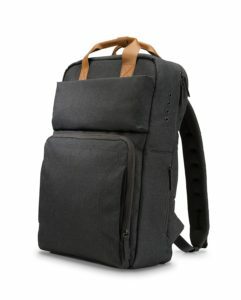 A well known brand in tech world brings you the best in class laptop backpack specially designed with in built charger. 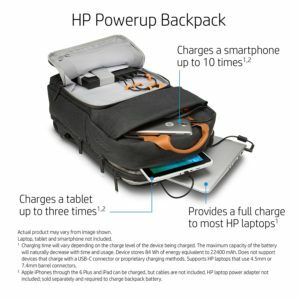 The HP backpack has built in power bank to charge 3 devices at a time. 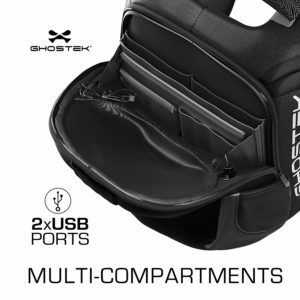 The backpack can fit in upto 17″ size laptops and can charge all non USB-C type laptops. The power banks of 22400 mAh capacity is provided in side the backpack which can charge a laptop for 1 time from zero to 100%. The in-built power bank can be only charged with laptop power adapter or you can buy one here, HP specifically warns not to use after market adapters to charge the inside battery. Power adapter is not included in backpack. 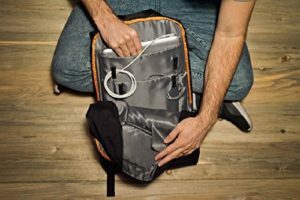 The backpack has temperature sensors and it adjust accordingly. Also, the backpack is designed the way that airport carry-on requirements are followed so you won’t need to worry about it. 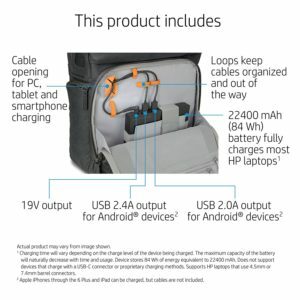 Laptop charging cable and 2 USB android charging cables are included with backpack. The backpack has heavy duty interior and exterior padding for laptop protection and also is water resistant and come with rain coat for the same. Are you a wanderer or traveler and like to roam free without worries of power backup and source? then, this could be the best pick for you. 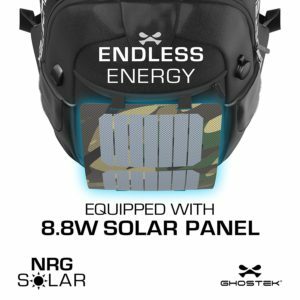 Gostek NRGsolar is kind of outdoor living style backpack which comes with solar panels and built in charger power bank inside bag. 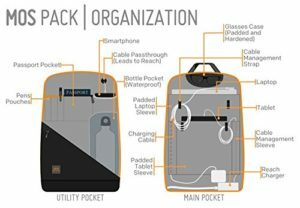 The backpack is of capacity of 40 litter and can be used to keep laptop size up to 15.6 inches. This backpack offers really great style and huge capacity of 16000 mAh of power backup. the power bank has 5 USB ports so you can charge 5 devices at a time. There are 2 ports with solar panels and 2 inside bag and last one is external port. The backpack is water resistant and provides you great comfort while traveling. You can fold back the solar panel and keep it inside when you don’t need it. Also there is integrated LED indication showing you how much charge the power bank has left with. TYLT is another big brand in portable charger industry. 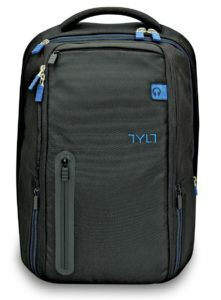 The TYLT Powerbag is charging hub for your almost all gadgets like laptops, mobiles, ipads, tablets, etc. The Powerbag has built in power bank of capcity 10,400 mAh (which is quite less capacity thus we kept it on spot 3). the power bank can charge upto 3 devices at a time. 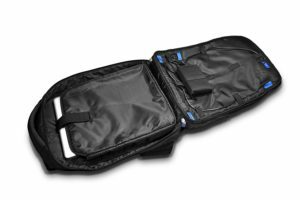 The powerbag is water resistant and has well routed cables inside backpack which do not interferes with you luggage and devices. Powerbag is designed to fit in all cafeterias on airport authorities so won’t need to worry about it. This bag has been provided with the trolley sleeves for frequent flyer this could be added benefit to go for. This bag has been provided with the trolly sleeves for frequent flyer this could be added benefit to go for. MOS is looking quite new player in this section and though we do not find anything promising about them we are giving you honest review about this MOS pack. We contacted few MOS users and found they loved this bag in the beginning but afterwords they are not happy with its quality. There are many users complaining about build quality and many are about battery capacity. The MOS pack do not specify the exact battery capacity which we are keen to know about (we will update here once we get to know). The backpack has capacity of 20 liter space and can fit up to 15.6 inch laptop easily. Tough this looks like a promising startup brand we would love to frankly suggest you to go for above mentioned backpacks.